Air Canada and Air China have signed the first joint venture agreement between a Chinese and North American airline. The signing took place at a ceremony in Beijing attended by Jianjiang Cai, chairman of Air China; Zhiyong Song, president of Air China; and Calin Rovinescu, president & chief executive officer. The joint venture enables the two countries’ flag carriers and Star Alliance members to expand their existing codeshare relationship and deepen it by increasing commercial cooperation on flights between Canada and China and on key connecting domestic flights in both countries to provide customers travelling between the two countries with greater and sustainable benefits including an unparalleled range of flights, products and services. The carriers’ recently expanded codeshare, effective May 5, increases the number of Canada-China connecting flight opportunities for customers by 564 each day. In December 2017, Air China and Air Canada implemented an expanded reciprocal lounge agreement for customers and introduced the airlines’ first joint frequent flyer promotion for their respective PhoenixMiles and Aeroplan members. In the last two years, Air China has launched flights directly linking Beijing with Montreal, and Air Canada has launched new non-stop flights between Montreal and Shanghai to meet growth in demand. The two carriers now operate up to a total of 52 transpacific flights per week between Canada and China from Toronto, Vancouver and Montreal to and from Beijing and Shanghai. 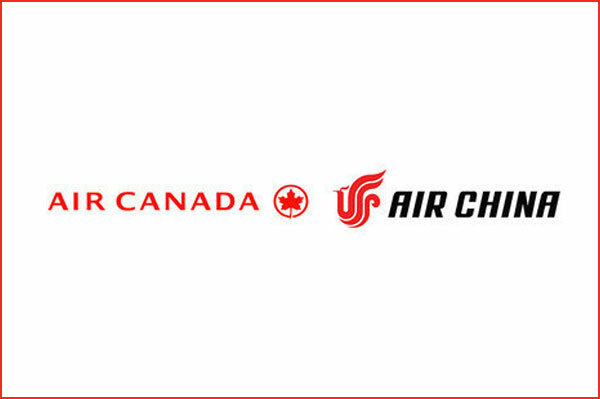 Go to www.aircanada.com or visit www.airchina.com.cn for more.